New EFI mapping to comply with emission standards[which?] and eliminate abrupt throttle response at low speeds. ^ a b c "Motorcycle Performance Numbers: Honda". Sport Rider. February 1997. ISSN 1065-7649. Archived from the original on February 12, 2008. ^ Smith, Don. 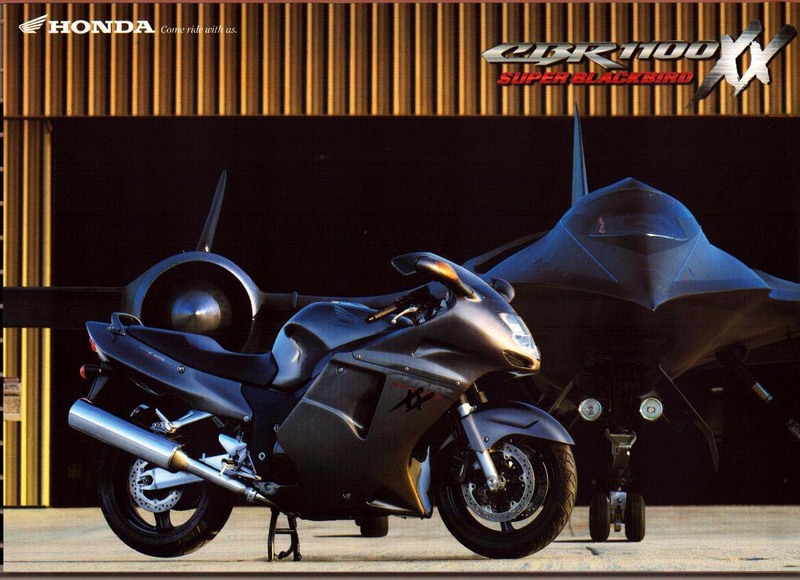 "Honda CBR1100XX 1997-2003: speed king at one time, the biggest CBR drew fans for other reasons." Sport Rider Aug. 2010: 63+. General OneFile. Web. 14 June 2012. ^ a b c Coonan, Big Joe (April 1997). "Honda CBR1100XX vs. Kawasaki ZX-11". Motorcycle Consumer News. ISSN 1073-9408. ^ a b c d "Hard Numbers." Motorcyclist July 2000: 136. General OneFile. Web. 14 June 2012. ^ Carrithers, Tim. "1997-2004 Honda CBR1100XX." Motorcyclist Dec. 2008: 98. General OneFile. Web. 14 June 2012. ^ a b Guinness World Records 2000 Millennium Edition. Guinness World Records Ltd. 1999. p. 179. ISBN 0-85112-098-9. ^ "Motorcycle Performance Numbers:Kawasaki". Sport Rider. February 1997. ISSN 1065-7649. Archived from the original on February 12, 2008. Wikimedia Commons has media related to Honda CBR1100XX. This page was last edited on 19 March 2019, at 13:24 (UTC).